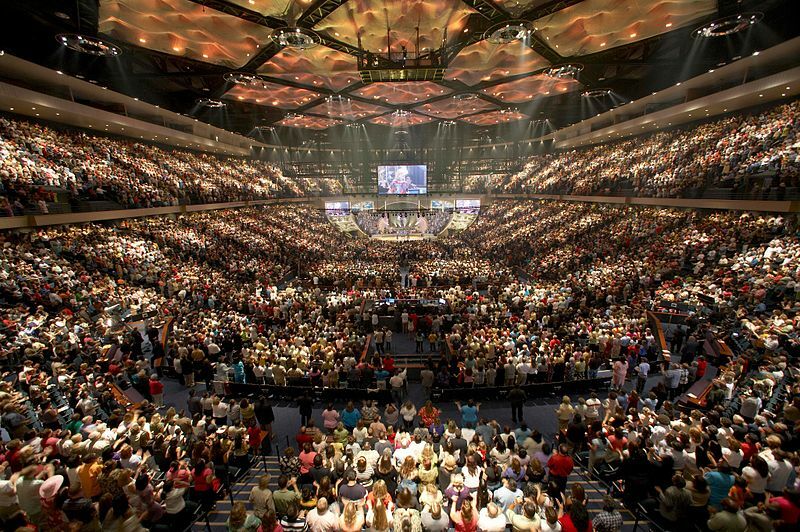 The largely tax-free religion industry is one of the biggest in America, worth $1.2 trillion/year, a number that includes religious "healthcare facilities, schools, daycare and charities; media; businesses with faith backgrounds; the kosher and halal food markets; social and philanthropic programmes; and staff and overheads for congregations." Research on Religion. The authors describe the estimate as "conservative" and note that while religion as a whole is declining in the US, spending on religious "social programs" has tripled since 2001, to $9T. Grim and his co-author Melissa Grim of the Newseum Institute in Washington came up with three estimates of the worth of US religion. The lowest, at $378bn, took into account only the revenues of faith-based organisations. The middle estimate, $1.2tn, included an estimate of the market value of goods and services provided by religious organisations and the contributions of businesses with religious roots. The top estimate was based on the household incomes of religiously affiliated Americans, and placed the value of faith to US society at $4.8tn annually. The analysis did not take account of the value of financial or physical assets held by religious groups. Neither did it account for “the negative impacts that occur in some religious communities, including … such things as the abuse of children by some clergy, cases of fraud, and the possibility of being recruitment sites for violent extremism”.